DENVER ATHLETIC, Colorado's premier team dealer, has been family owned and operated by Founder and Denver Native, Mick Montgomery since 1985. For over 30 years, we have proudly been servicing schools, corporations and athletic groups throughout Colorado. We pride ourselves on our top notch, superior customer service, and we specialize in providing unique, high quality athletic uniforms, equipment, logo’d apparel, promotional products and much, much more. To put it simply, we are here to make sure you look your best so you can focus on performing your best. Located in southwest Denver, we work with schools, teams, leagues, and corporations from all across Colorado. We take great pleasure in serving such marquee accounts as the Denver Broncos, Colorado Rockies, Denver Nuggets, Colorado Avalanche, Colorado Mammoth, the University of Denver, and Colorado School of Mines. Another great pleasure is servicing many of the most notable school districts in the state including Jefferson County, Douglas County, Denver Public Schools, Arapahoe County, Cherry Creek, Aurora and Colorado Springs along with high profile private schools Kent Denver, Colorado Academy, Denver Christian, Alexander Dawson School and many, many more. From the Major Leagues to the Little Leagues, we exist to provide teams with the equipment and apparel they need to not only function but excel. We work year-round to find the best styles and new trends to ensure our customers have access to everything they might need, and we are extremely excited about all we have to offer in 2017 and beyond. The majority of our lettering and embellishments are done exclusively at our 25,000 sq. ft. facility in Englewood, so we truly are the only source you need when it comes to custom apparel, equipment and branded promotional products! Here, we house our sales offices, showroom, warehouse, production facility, and retail for your convenience. With over 8,000 square feet dedicated entirely to production, we can handle any order you may have: custom embroidery, screen printing, tackle twill, banners, decals, promotional products and even stickers. We also employ a full-time and very talented graphic design team who will include your current logo on any product or come up with a brilliantly creative design just for you! We would love the opportunity to help out with any needs you might have, so please let us know how we can take your team, club, school or business to the next level! Responsible for all direct sales of uniforms and equipment to our schools, universities, leagues, and pro sports teams. While our Outside Sales team works on individual accounts, any walk-in customers can be readily assisted by our Inside Sales team. Responsible for all uniforms, spirit wear, shoes and accessories for our Cheer and Dance accounts. They make sure you’re decorated head to toe so your team can perform its best while never failing to look amazing. Responsible for all Corporate Identity Programs including uniforms, hats, shirts, outerwear, bags, promotional products, banners, tablecloths, safety gear, and awards. We can incorporate your company name, logo, or slogan on just about anything. Whether its branded apparel for your employees, gifts for new employees, holidays or board members, or even giveaway items for the community - if you can dream it, we can create it! Responsible for any walk-in customers. We also host Team Nights where teams come in for fittings, and by doing so will receive discounts on all of our retail products! Our retail store is for your convenience and was developed for the serious athlete and the price-conscious shopper. Many of the products that we provide to teams throughout the state can be found in our store at a discounted price to the public. You can also create your perfect Letter Jacket here as well! Come see us and we promise you won't be disappointed. Responsible for all screen printing, embroidery, hand sewn twill appliqué, banners, decals, stickers, signs and laser-etched awards. Home to our graphic design and embroidery digitizing teams, this is where the magic happens. Do you like being creative or know exactly what you want? If so, play around in our Design Studio and generate your own perfect creation. You can also use this to see how your logo looks on a plethora of items. With our Custom Team Stores, we can set your group up for a seamless buying experience. This is the easiest way for your team, school, or organization to individually order and pay online for branded apparel, uniforms and spirit wear. Take the hassle out of collecting money from countless people, and instead send them to your personal store for quick and easy shopping. Here at Denver Athletic, you are guaranteed the exceptional customer service and personal attention that you deserve. Whether you play for the Nuggets, want to schedule a Team Night for your squad, or you simply wandered in looking for some new gear; we treat all of our customers the same. 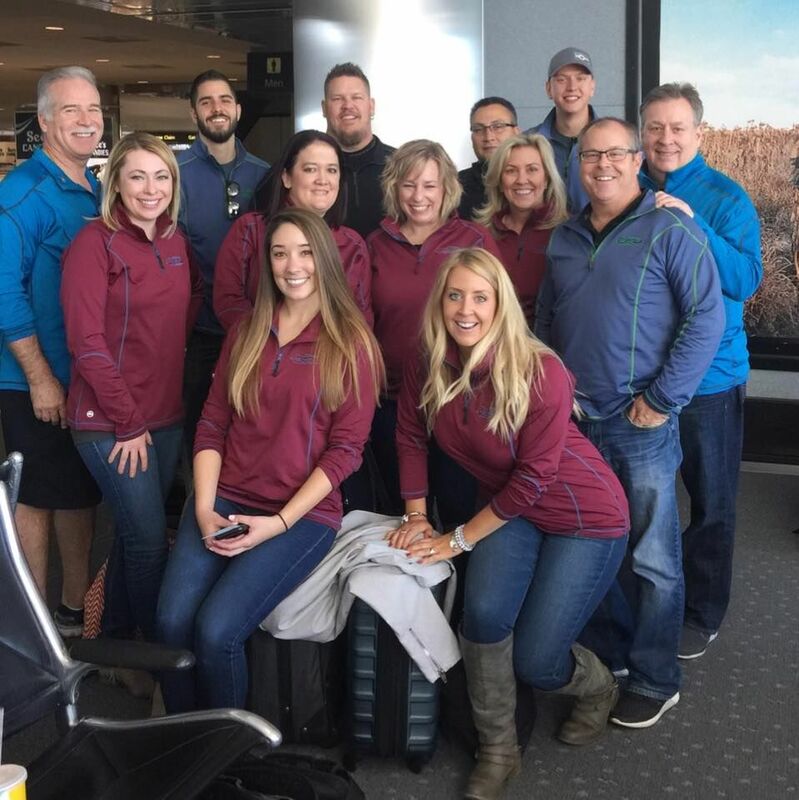 Each and every member of the Denver Athletic team is dedicated to providing the services and products that help customers achieve their athletic, personal, or corporate goals. We are driven to make every experience with us a fun and memorable one.